This tool is provided for review purposes only. The 'Occultation Tool' presents information regarding occultations contained in the ACE-FTS Level 2 Version 3.5 / 3.6 database ("data"), those that have been selected for measurement ("planned"), those that will occur within the following two months as predicted using a high precision orbit propagator ("hpop"), and those that will occur within the following year as predicted using a less precise orbit propagator ("j4"). Each occultation measurement traces out a ground track along the surface of the Earth. 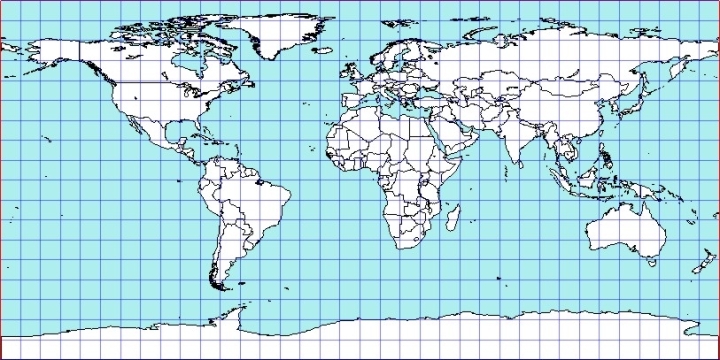 The location of an ACE measurement is defined as the latitude and longitude of the 30-kilometer tangent point in the occultation (calculated geometrically). The length of an occultation ground track is related to the beta angle (β) of the satellite; this is defined as the angle between the satellite's Sun-pointing vector and orbital plane. The greater the absolute value of this angle, the longer the occultation ground track becomes. The nominal occultation ground track length was originally limited to 3 minutes, corresponding to β of ~53°. Occultations with a ground track length longer than this nominal value are more difficult to interpret. The data downlink for the SCISAT spacecraft has increased significantly since March 2005 (thanks to the efforts of the Canadian Space Agency (CSA) Satellite Operations (SatOps) team). ACE is able to obtain measurements for almost all occultations with β < 45°. Conversely, less than half of occultations can be measured when β > 53°, as the end of the 'Sunset' command sequence overlaps the beginning of the 'Sunrise' command sequence due to a relatively short eclipse period. Most measurements can be made when 45° < β < 53°. Unfortunately, some measurements are unavoidably missed as they occur during outages resulting from gaps in available downlink, or they occur during the planning buffer (16:50 - 17:15 UTC daily). Requests for measurements should be made to the ACE Operations Specialist (jsteffen@scisat.ca) no less than three weeks ahead of the measurement opportunity. Requests submitted closer to the measurement date may be accommodated; however, no guarantees are given as measurement plans are submitted to the CSA SatOps team one week in advance. Please inform the ACE Operations Specialist if discrepancies are found when using the 'Occultation Tool'. Please click the "Search" tab.